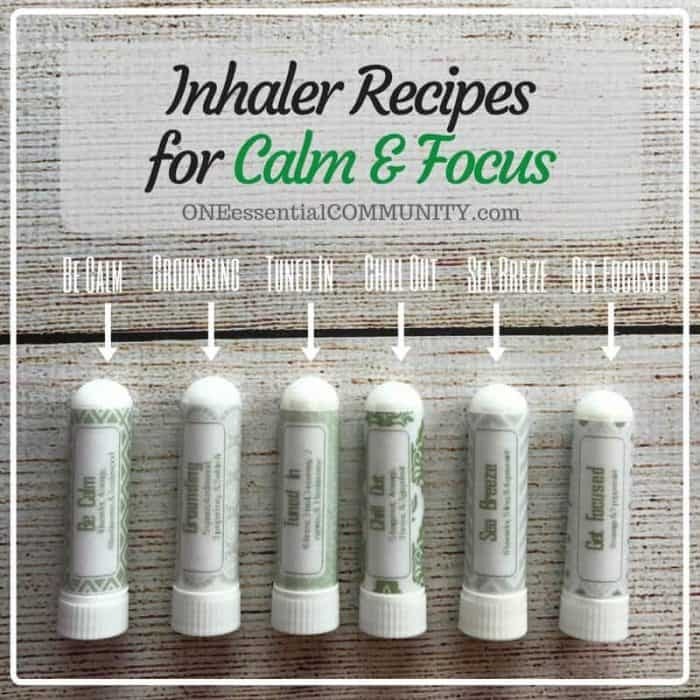 24 Essential Oil Inhaler Recipes for allergies, headaches, cravings, stress, energy, focus, calming and more! While I love using a diffuser, sometimes it just isn’t practical. When that happens, personal inhalers are a wonderful alternative to diffusers. 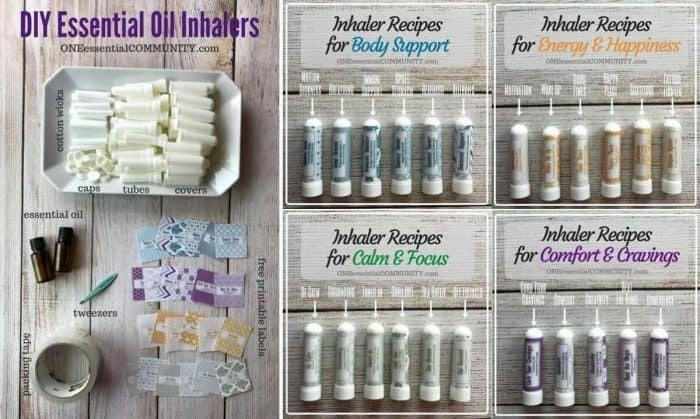 Here are just a few of the reasons I love essential oil inhalers. portable– Just toss an inhaler in your purse or travel bag and your good to go. They’re lightweight and small (about the size of a lipstick). 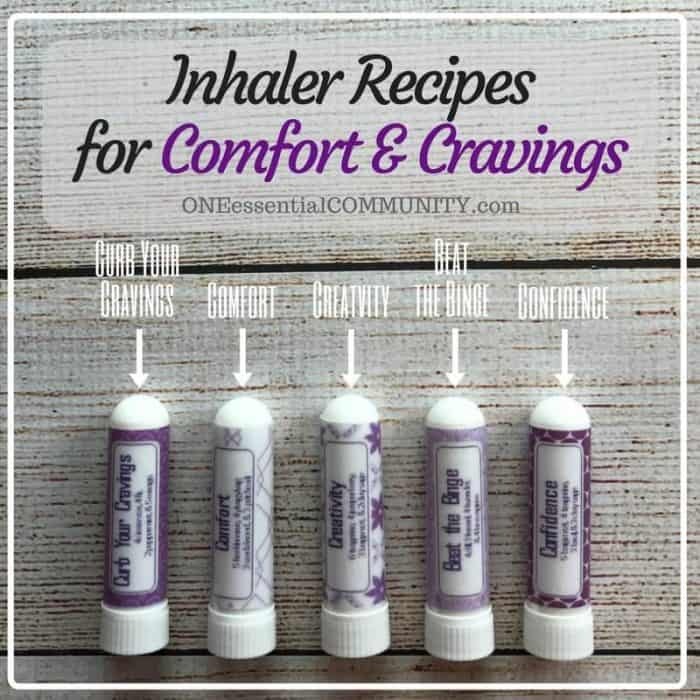 And, unlike roller bottles, you don’t need to worry about inhalers spilling in your bag. effective– Inhalation is one of the most effective ways to get all the great therapeutic benefits of essential oils. economical– Inhalers cost less than a dollar each, only take 15 drops of essential oils, and they can last for a month or longer. How’s that for a great deal?! 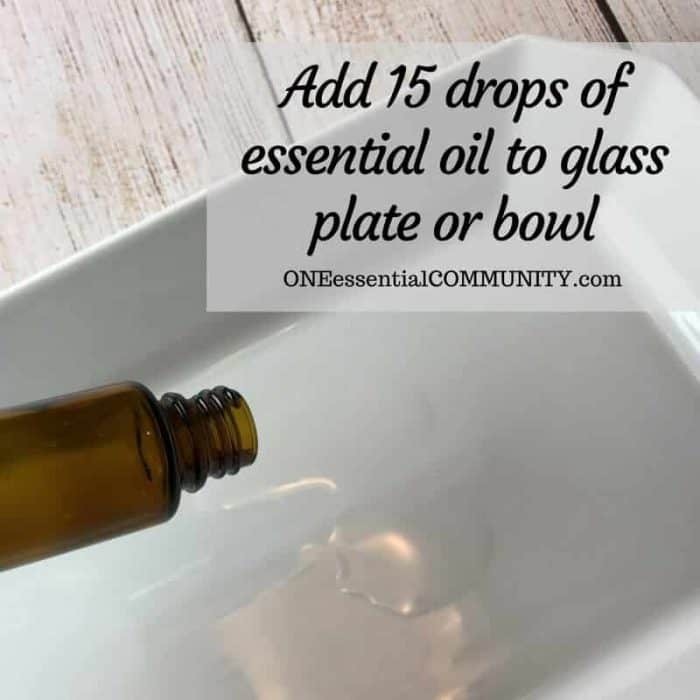 don’t affect others around you– Diffusers are wonderful, but when you want to use an essential oil that isn’t safe for or liked by those around you, a personal inhaler is a great alternative. ust what are essential oil inhalers? 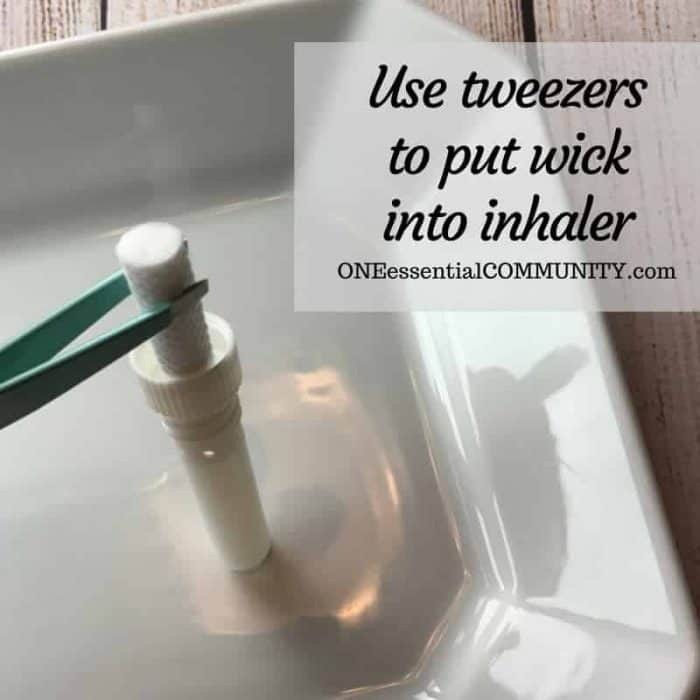 inhaler tube– The wick goes inside this tube. 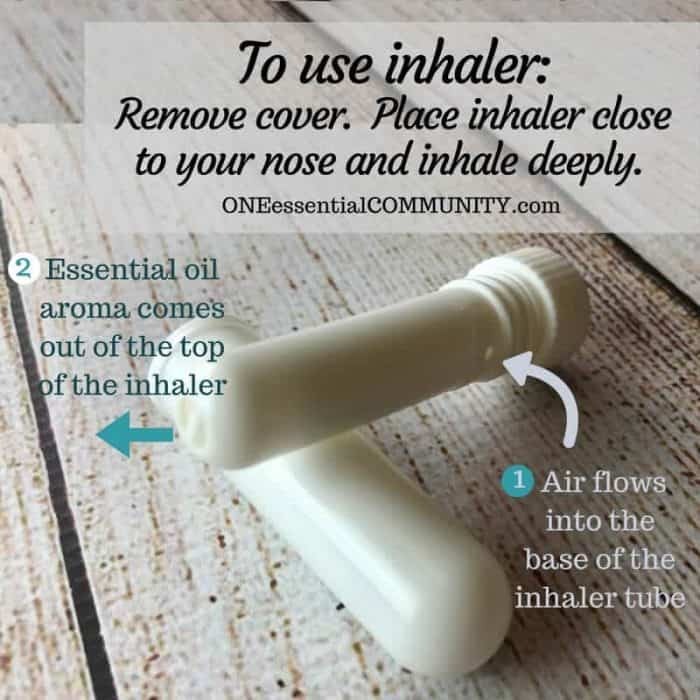 There are holes at the top and bottom of the tube to allow air to flow in and then out with the aroma of the essential oil. 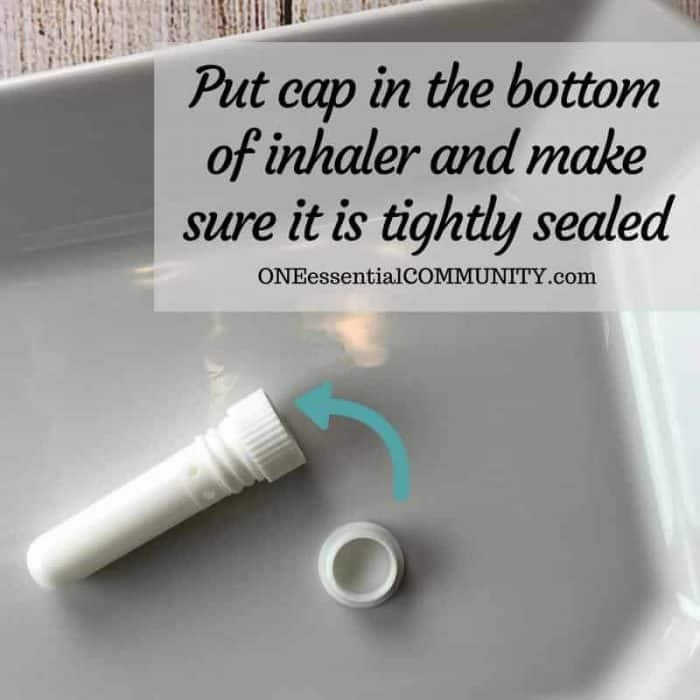 cap– The cap goes on the bottom of the inhaler to hold the wick inside the tube. The cap can be removed so that the wick can be replaced or replenished with essential oils when the aroma wears off. cover– The cover slides over the inhaler tube. When you’re ready to use inhaler, simply remove the cover and place inhaler close to your nose and inhale deeply. 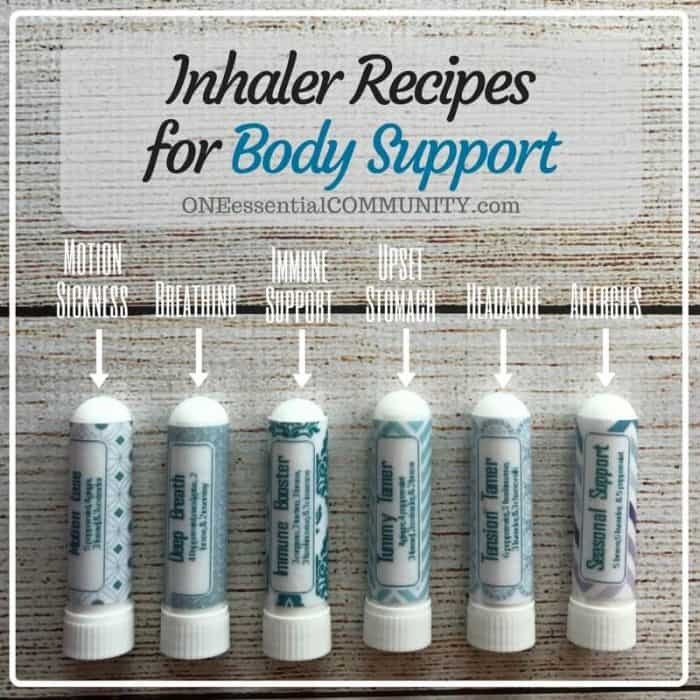 When I started the One Essential Community blog about a year ago, one of the very first posts I shared was for my 20 favorite roller bottle blend recipes. 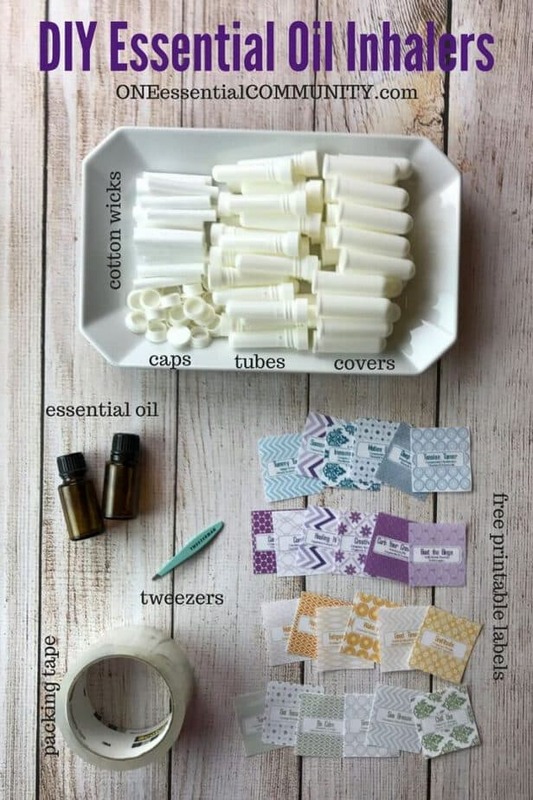 My favorite thing about the post is that, not only does it have my 20 favorite roller bottle recipes, it also has free printable labels for roller bottles. The labels have the both the name of the blend AND the recipe. I LOVE that! It’s so simple to remake roller bottle blends when they run out. All I need to do is read the label that’s right on the bottle, and I can see exactly what’ in the blend. It’s so much easier than how life used to be. In the past when I wanted to make a roller bottle, I’d have to go to my notes, a book, or the Internet, and hope I could find the recipe so that I could make another batch. 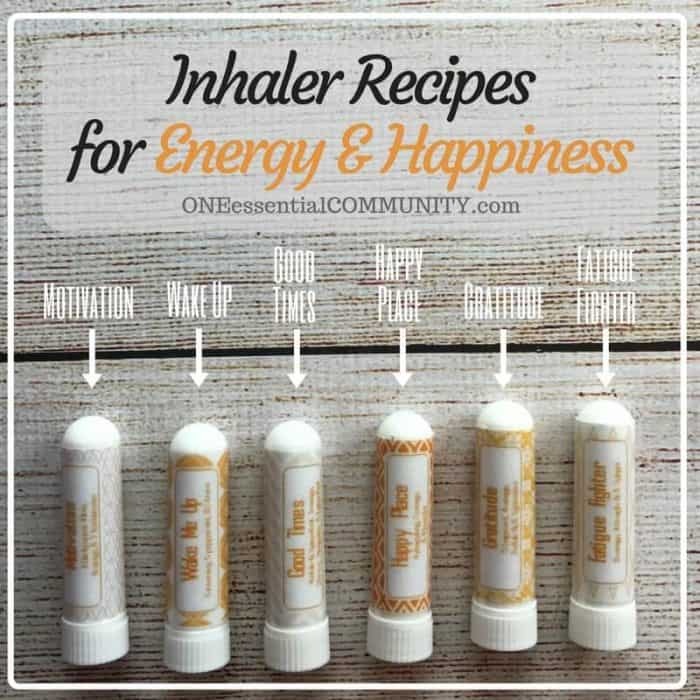 I loved this recipe-on-the-label approach so much, that I did the same thing when I created my set of favorite roller bottle blends for emotions a few months later. And again, it has been extremely helpful! 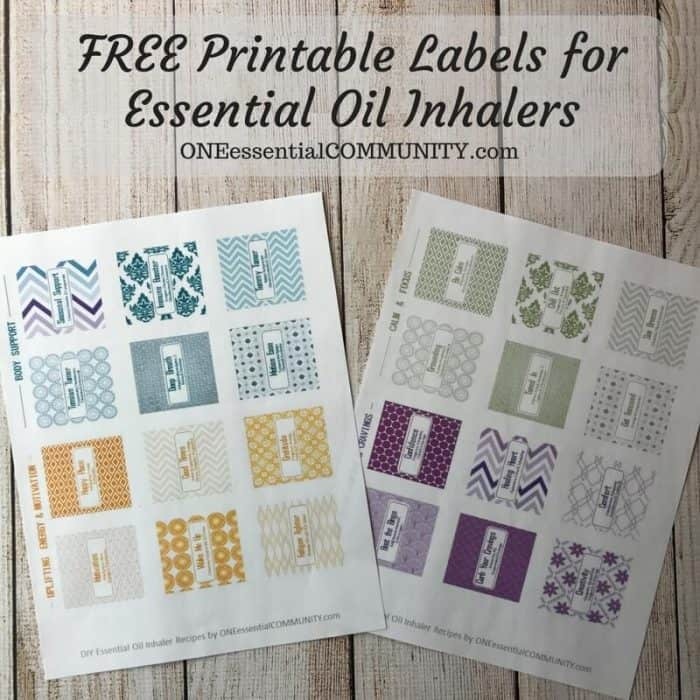 So, of course, when I decided to share my favorite essential oil inhaler recipes, I wanted to share free printable labels for us all to use (get the free inhaler labels here). 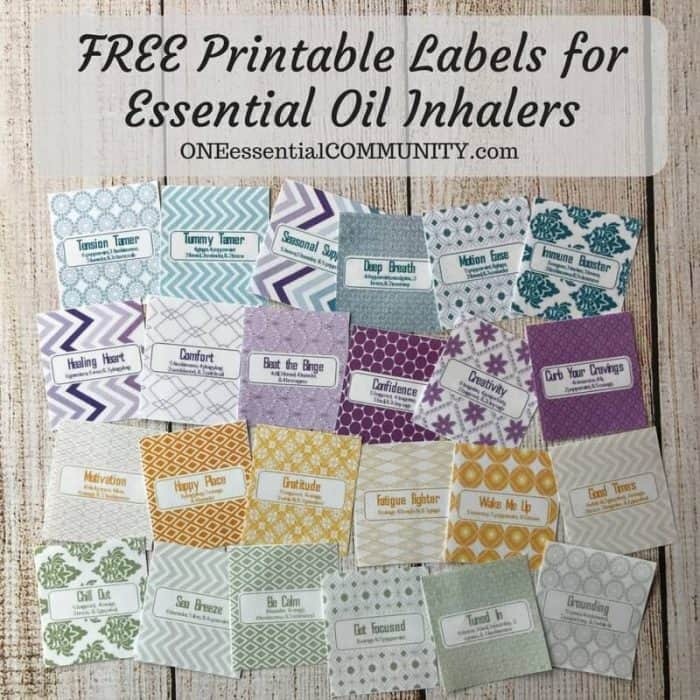 And those free printable labels would not only have the name of the inhaler blend, but also the recipe for what’s in the blend and how to remake it. I’ve found the aroma in inhalers usually lasts for about a month (more or less, depending on how often I opened the inhaler). 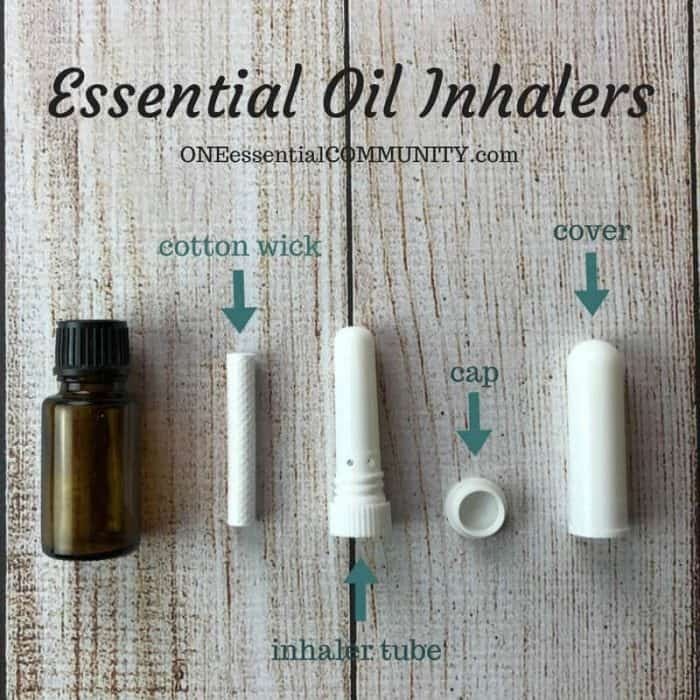 And then when I need to refresh the wick with more essential oils, it’s so handy to have a recipe right there on the inhaler label! You want a slight bit of tape above and below the label and about 1/2 inch on the left and right side of the label. 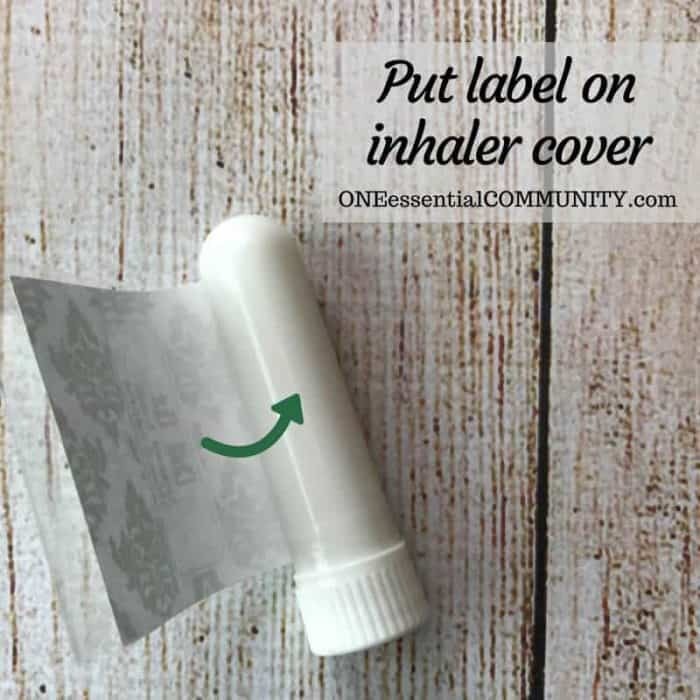 This overlap is so that the packing tape will stick to the inhaler and form a seal around the paper label. 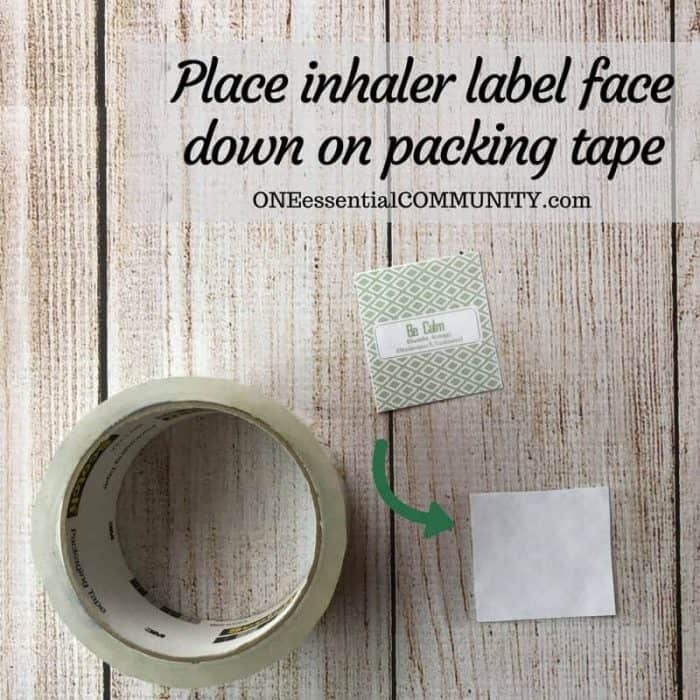 The packing tape will both adhere the label to the inhaler and add a nice water-and-oil-proof covering to the label. Place inhaler close to your nose and inhale deeply. Inhalers can last for a month or longer, depending on how often they are opened. 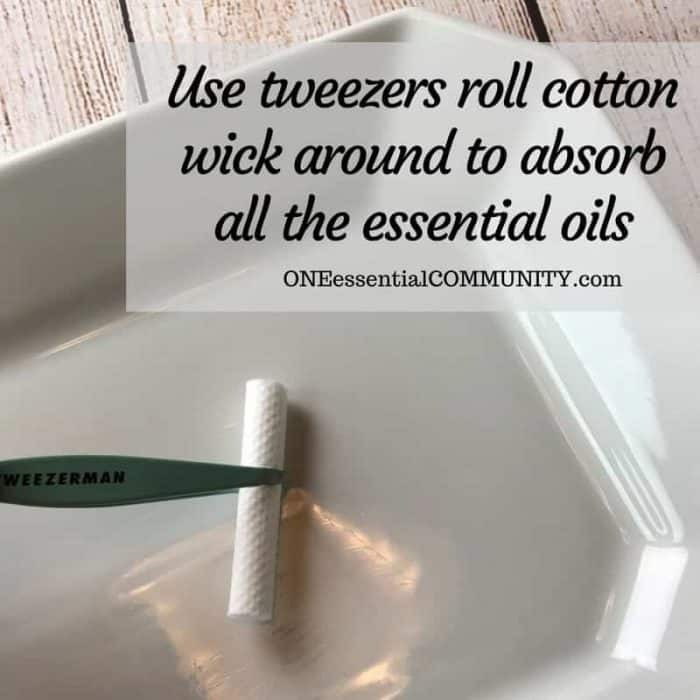 To refresh scent, remove wick and add more essential oils following the steps above. use packing tape like this to adhere labels to inhalers- Amazon has a good price. Can also find at Walmart or Target in office supply section.